arrive safe, secure and on time. Our emphasis is to deliver customer satisfaction with a service dedicated to peace of mind for our clients. Our experience in transportation across many continents has been built up over many years. 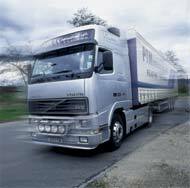 Our fleet incorporates features enabling us to deliver your goods for complete customer confidence. Should your consignment be very urgent, we offer an overnight service to many European destinations.